Metroscope Quilt pattern from Sew Kind of Wonderful. 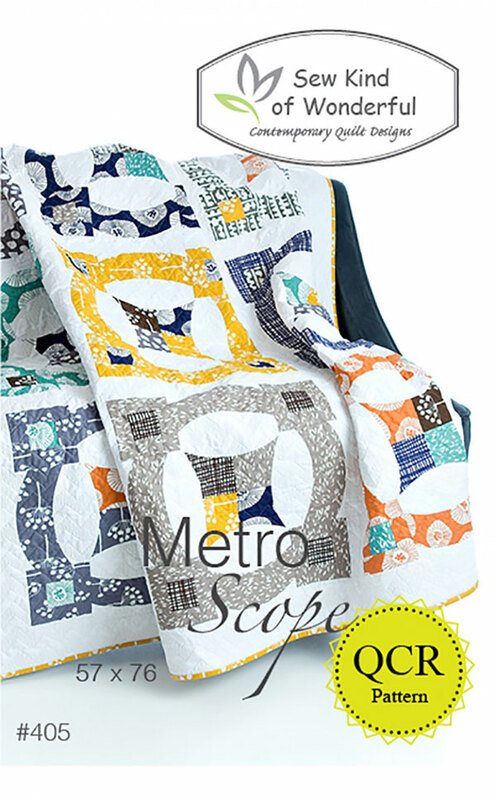 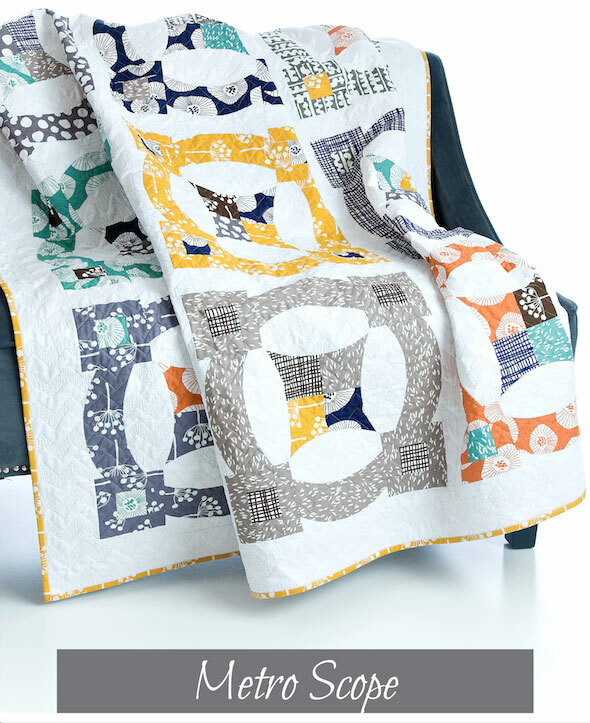 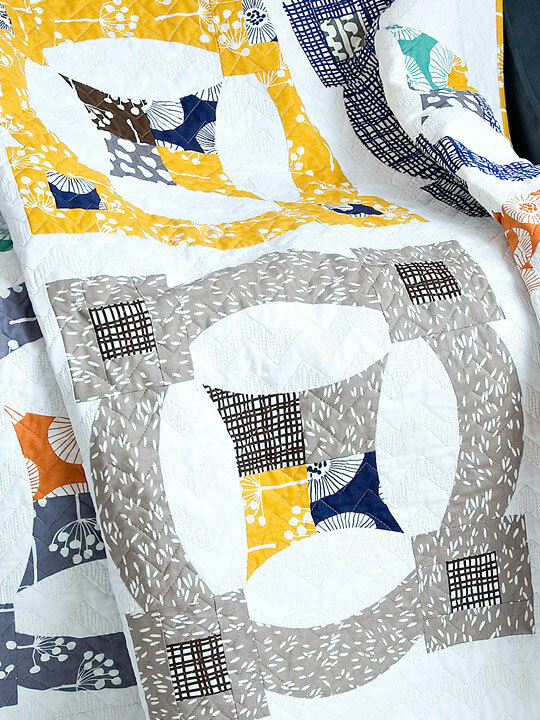 Metroscope is a Quick Curve Ruler quilt pattern by Sew Kind of Wonderful. 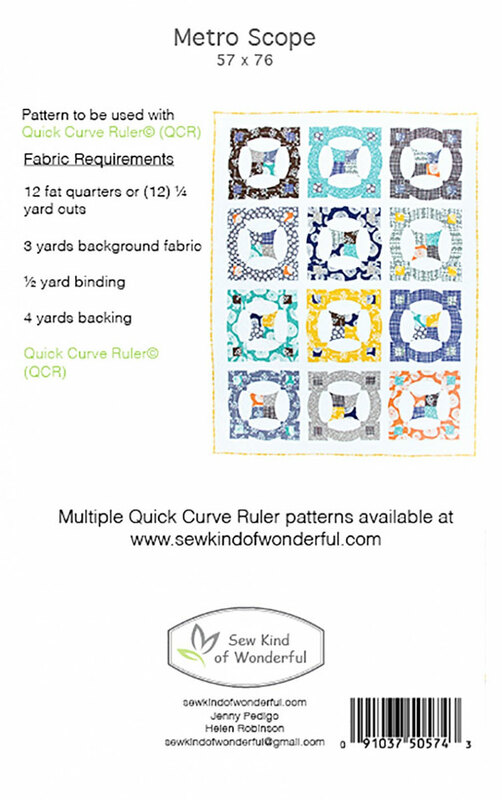 Requires Quick Curve Ruler which is sold separately from this pattern. 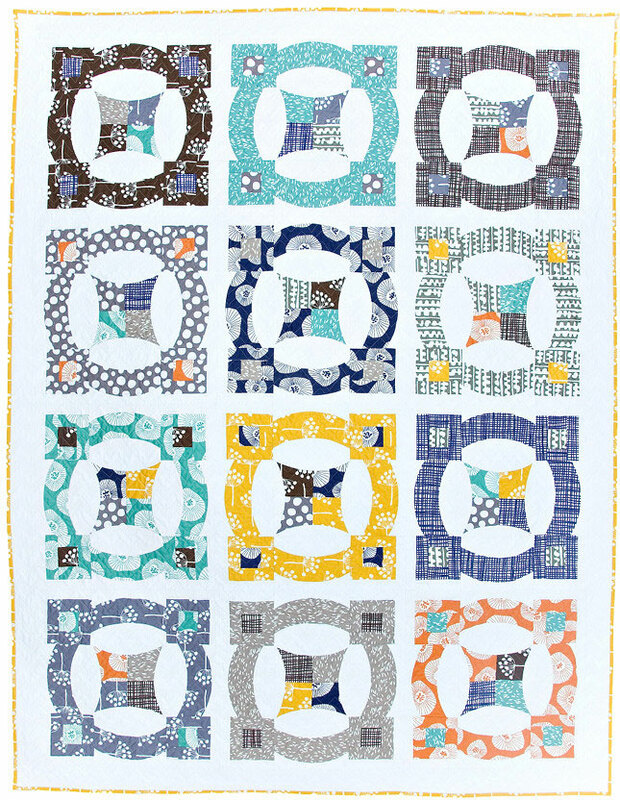 Finished size is approximately 57" x 76"